I was born into adventure. My father, John a master craftsman could build anything he put his mind to. Often his response when asked a question was, let me think about that. He was a master, highly intuitive and took his time to give advice making sure that he had found the correct answer before sharing it with others. Because of this I always felt safe when he was around, I knew no matter what happened he knew how to fix it. He had a profound understanding of the physical world and when he wanted a sailboat he built it. 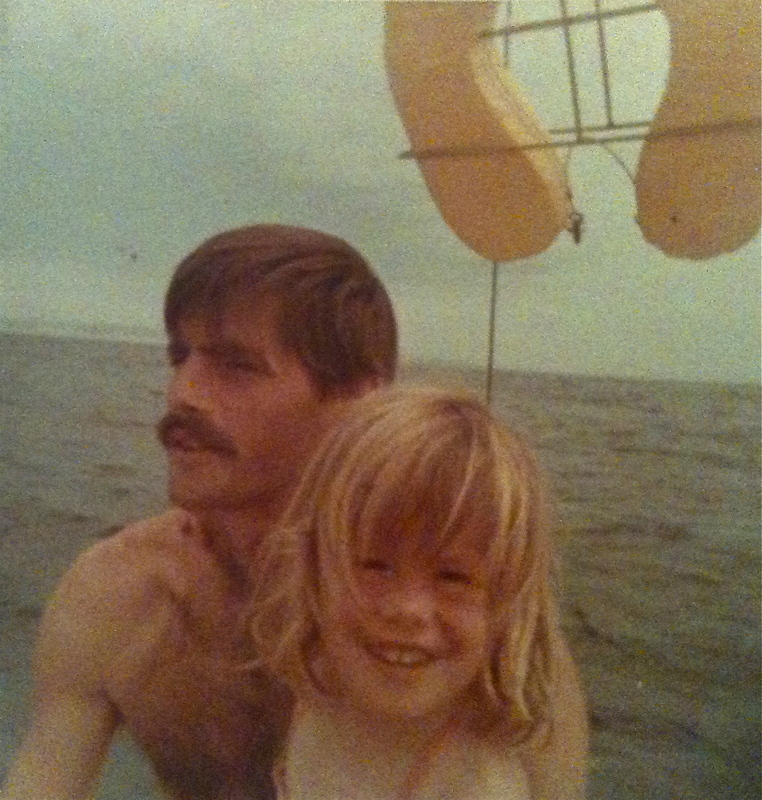 When I was four years old my Mom, Dad, Crew Member and I sailed to Hawaii. Sailing is part of who I am and it’s passion lives in me today. I feel a natural freedom gliding across the water in a vessel powered by the wind, I feel at home. Here my dad and I are sailing in Hawaii off the island of Maui. In 2011 my father passed away. For my birthday this year my mom and I couldn’t think of a better way to celebrate life and honor my father than sailing the America Cup Boat USA76 on the San Francisco Bay. I experienced one of the best sails of my life at the helm of the USA76 sailing the course that team Oracle will defend the America’s Cup on in 2013. The power and agility of the USA 76 is supreme. Watch the video Set Sail to see how you can sail on the USA 76.